THE extraordinary achievements of young golfers were highlighted at the annual Blairgowrie Golf Club prizegiving. For the first time in the history of the Perthshire club, juniors were invited to share the stage with the men’s and ladies trophy winners. The 2018 men’s championship was won by Craig Hay, with Jillian Milne taking the women’s title. Along with other winners they received their trophies from Brian Wesencraft, the outgoing men’s captain, and former women's captain Sandy Bushby. The club, which nurtured Amateur champion and now professional Bradley Neil, has high hopes for a string of talented teenagers. 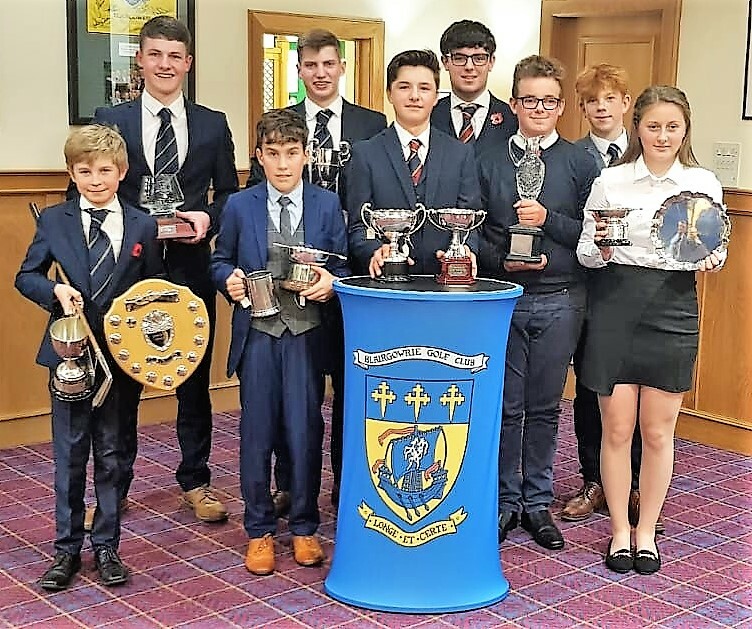 Junior convener Neil Wilkie said it had been an unparalleled season of success for the club’s junior section, both individually and on the team front. Blairgowrie’s Junior Golfer of the Year and U16 Scotland international Cormac Sharpe is looking forward to the Daily Telegraph Vitality U-18 Junior Golf Championship, being held at PGA Catalunya, near Barcelona, later this month. Girl golfer of the year Katy Alexander has received a Gleneagles scholarship. 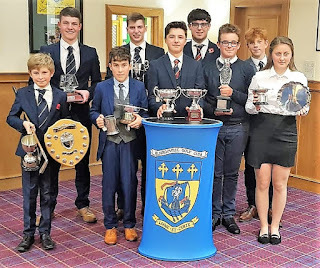 Club managing secretary Steven Morgan explained: “The club is committed to nurturing young golfers and we felt it appropriate to invite our successful juniors to the main prizegiving to remind members just how much talent we have coming through the ranks.